David Shepherd is regarded by many as being the world’s leading wildlife artist. Paintings such as Wise Old Elephant and Elephants at Amboseli made him internationally famous and he felt passionately that he should repay his debt to wildlife. He did so by raising huge funds for wildlife conservation and subsequently setting up The David Shepherd Wildlife Charitable Foundation. 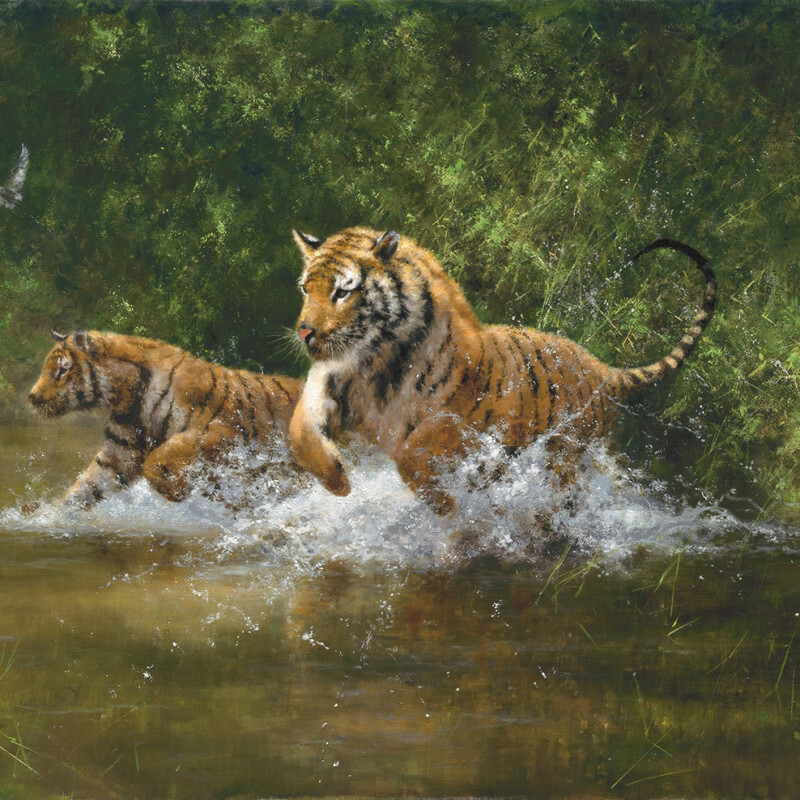 David Shepherd is renowned for his landscape paintings and his portraits, as well as his wildlife paintings. In 1969 he was commissioned to paint Her Majesty Queen Elizabeth The Queen Mother. In 1971 he was awarded an Honorary Degree in Fine Arts by the Pratt Institute in New York and, in 1973, the Order of the Golden Ark by HRH The Prince of The Netherlands for his services to conservation. He was made a Member of Honour of the World Wide Fund for Nature in 1979 and in the same year Her Majesty Queen Elizabeth II presented him with the Order of the British Empire for his services to wildlife conservation. In 1986 David Shepherd was elected a Fellow of the Royal Society of Arts and in 1988, President Kenneth Kaunda of Zambia awarded him with the Order of Distinguished Service. In 2008 he revisited Buckingham Palace to receive his CBE. David Shepherd had his first one-man show at the Tryon Gallery 1962, followed by a show in 1965, 1971, 1978, 1985, 1991 and most recently a hugely successful show here in 2015.